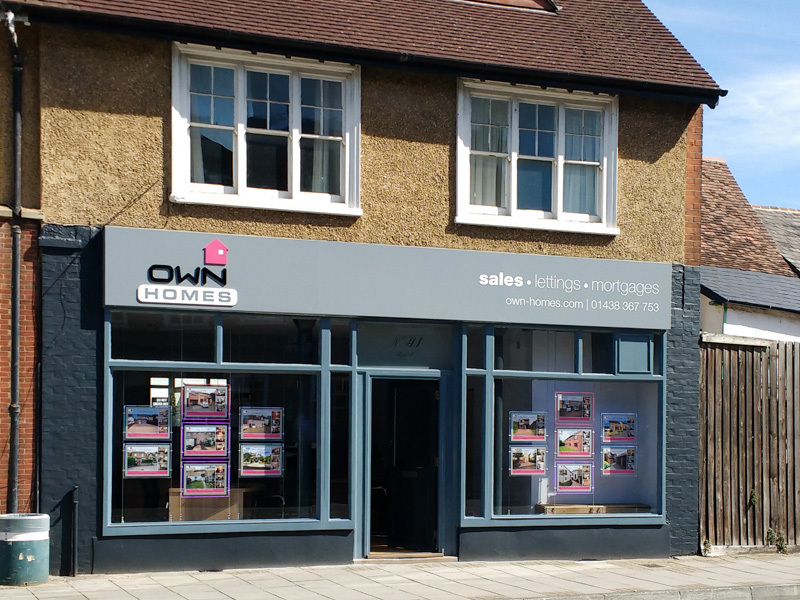 Own Homes are an established local Estate Agency, based in Stevenage Old Town, who recently refurbished and extended their offices to include a new frontage onto the busy Old Town High Street. Michael Notschild of Own Homes had a good idea of what he wanted and we designed a scheme to his brief. 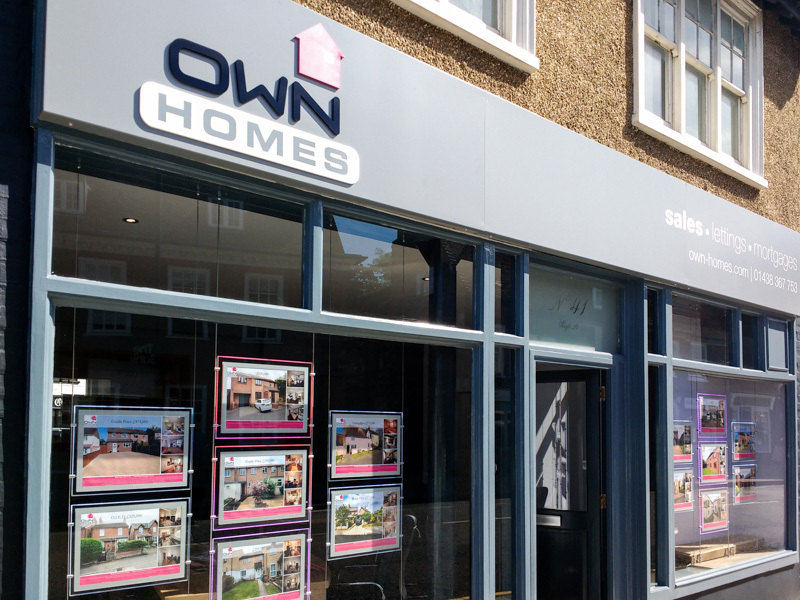 The new High Street entrance had a new fascia sign manufactured in aluminium, fabricated in three sections to form a tray, then powder coated grey to match the painted shop front. 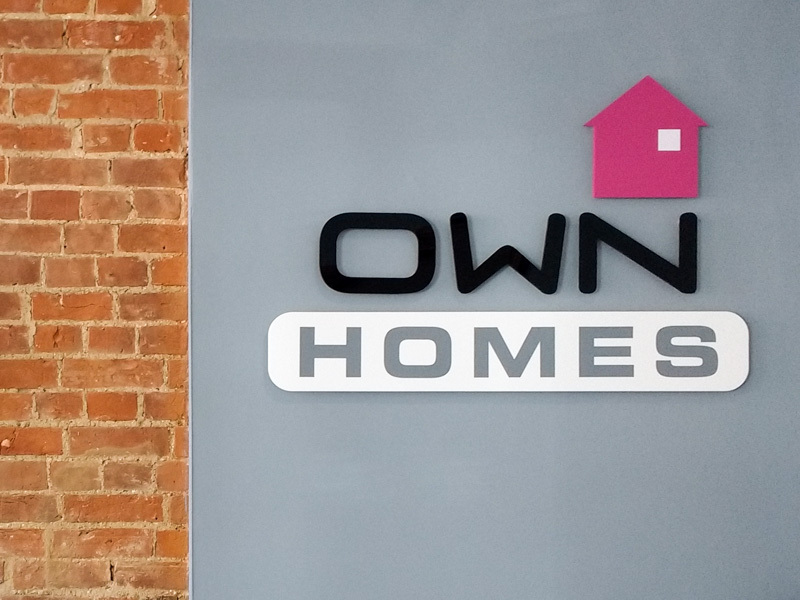 The Own Homes logo was cut out from 10mm thick acrylic and spray painted to Own Homes corporate colour scheme, the logo was then bonded to the sign face. Text was added in white vinyl. 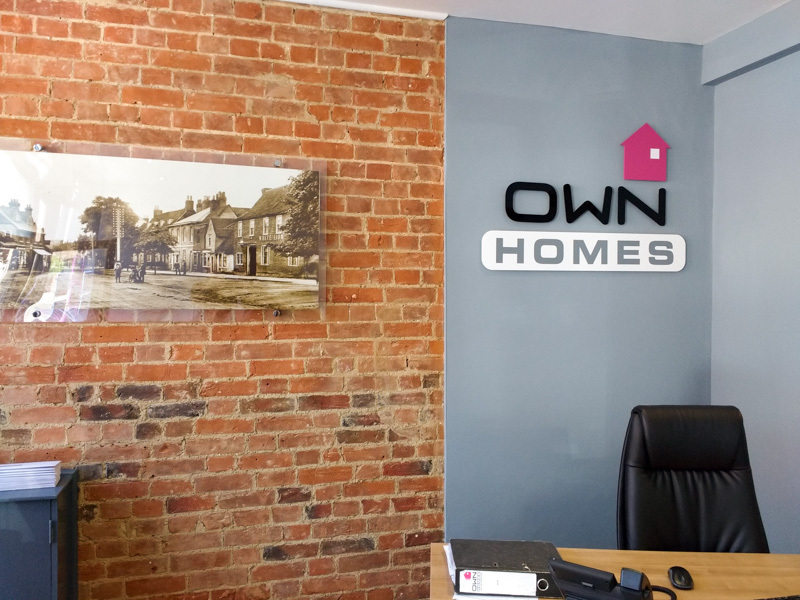 The Middle Row Office entrance utilised the existing sign frame with a new sign panel incorporating a cut out logo as a feature. To complete the refurbishment Characters Signs produced new panels for the existing projecting sign, an advertising panel within the “shop bike”, new pavement signs and an internal feature sign. 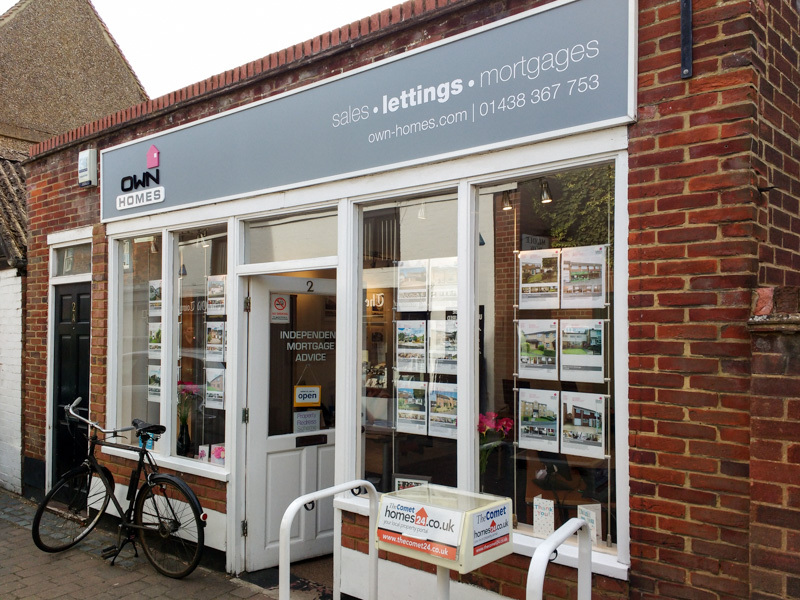 The clean, corporate signage reflects Own Homes quality and professional services.